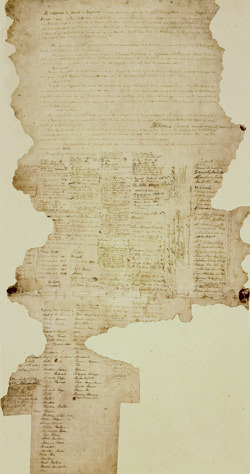 The treaty signed at Waitangi on 6 February 1840 was an agreement between the British Crown and Māori chiefs. It paved the way for British immigration to New Zealand and for a national government to be established. It also guaranteed Māori rights and privileges. New Zealand’s bicultural society is based on the treaty, which also gives the political system its legitimacy.